Energy costs can be a particular burden for low-income households. Efficiency Maine has a program to help eligible households reduce their costs. 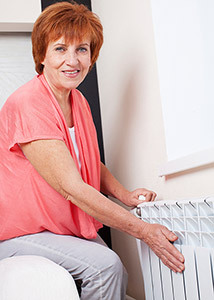 Are you interested in lowering heating costs and making your home more comfortable? Efficiency Maine has rebates and financing options to make energy-efficiency projects more affordable, whether you are considering selling air leaks, insulating, or upgrading your heating system. Efficiency Maine also has financing available to cover bigger projects. Find out more here. Efficiency Maine also helps low-income households reduce their electricity costs. Low-income residents who heat their water with electricity may be eligible for heat pump water heaters that lower energy use, installed at no cost. To see if you qualify and to learn more about the program click here. Another simple way to reduce electricity costs is to switch conventional lighting to high-efficiency LED bulbs. Switching just one bulb to an LED can save over $5 a year. If you’d like to find out more about how much you might save and where to find the best deals on bulbs, click here. Many food pantries also have high-efficiency bulbs available for eligible households. Questions about these programs and eligibility can also be directed to Efficiency Maine’s customer service team at 866-376-2463.